The Ruya Foundation is pleased to announce the first UK exhibition of Iraqi photographer Latif Al Ani (b. 1932) at the Coningsby Gallery in Fitrovia. ‘Latif Al Ani’ will run 4 December – 16 December 2017. The exhibition will include over 50 works surveying the artist’s practice from the 1950s to the 1970s. 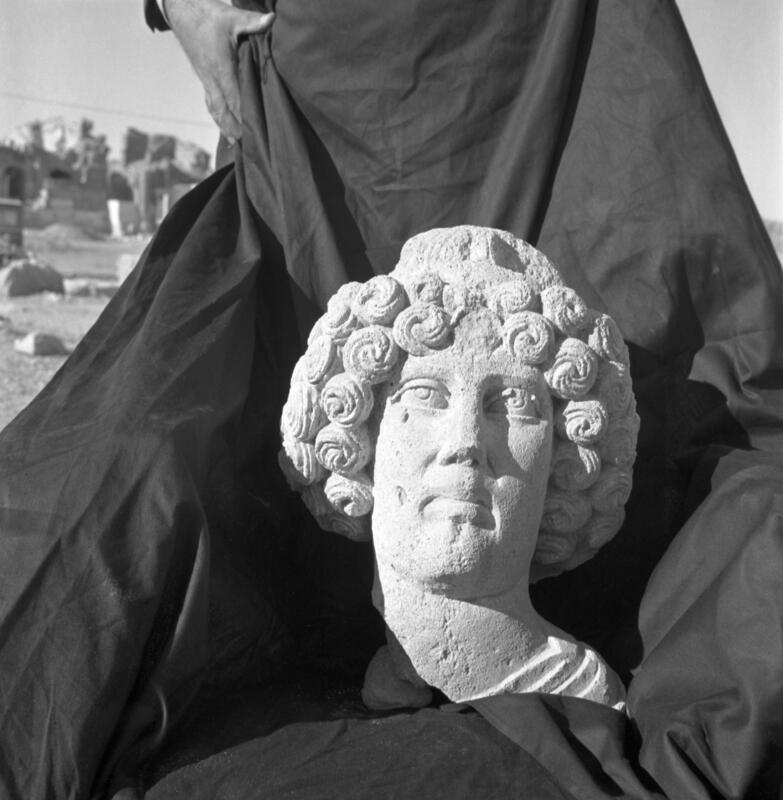 Latif Al Ani, Hellenic statue, Hatra, Nineveh, c. 1970s, B+W digital print on Hahnemühle Baryta Fine Art Paper, 25 x 25 cm, © the artist and the Arab Image Foundation, courtesy the Ruya Foundation. Considered the founding father of Iraqi photography, Ali Ani was prolific in documenting everyday life in the country, from the 1950s to the 1970s. His photographs provide a unique record of mid-20th century Iraqi experience. By the 1980s his work had fallen into obscurity and it is only recently that the artist has been rediscovered by an international audience. In 2015 his work was featured in the Iraq Pavilion at the 56th Venice Biennale and earlier this year Hatje Cantz published the first monograph of the artist’s work, which won the Historical Book Award at Les Rencontres d’Arles 2017. The majority of Latif Al Ani’s work was produced over three decades often referred to as a ‘golden age’ for Iraq, a period of increased cosmopolitanism and openness in the country. From the late 1950s until the outbreak of the Iran-Iraq War (1980–1988), Al Ani captured the social fabric of the country. Modern and multicultural, the images may appear surprising to audiences today, subverting stereotypical perceptions of Iraqi experience. Using a Rolleiflex 6×6 and 35mm film, the artist produced contrast-rich black-and-white photographs recording daily political, social and religious life. Images of trains, bridges, rivers and mosques sit alongside depictions of schoolchildren, shoppers, soldiers and tourists. The exhibition will also include a number of images of classical ruins and antiquities, highlighting Al Ani’s interest in archaeology as well as modern life, and how architecture served to bring the two together in Iraq.